I saw this big blue monster on my very first day in Yerevan – how lucky can a CCurbivore be? No way to get a decent photo of the dash of course, or time to get that many pics in any case, but at least I bagged me a classic Chaika. It may seem like a Packard with a glandular condition, but there’s much more to it than that. Let’s peel the gauze and gaze at GAZ limos, and look at a few others along the way. Analyze ZIS – clockwise from top left: 1936-38 ZIS 101; 1939-41 ZIS 102 & 101A sports; ’42 Packard; 1946-58 ZIS 110. 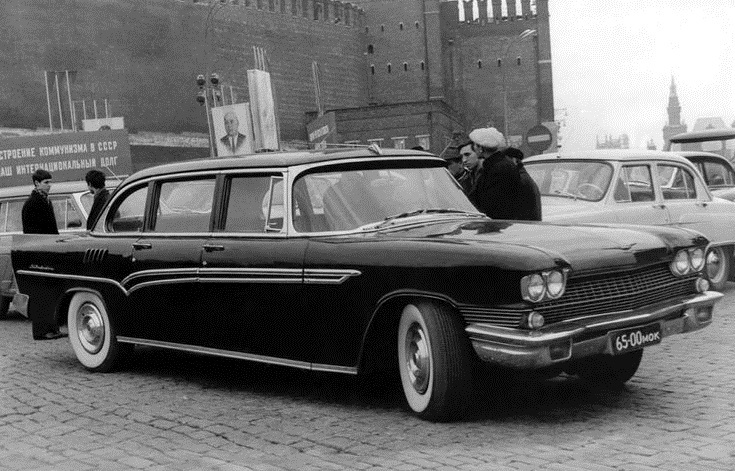 The really big Soviet limousines originally came from the ZIS factory (renamed ZIL after Stalin’s death) in Moscow. Those were the cream of the crop, entirely hand-made – about one or two per month – and featuring 6-litre 8-cyl. engines. But as the regime and its bureaucracy stabilized after 1945, there was a growing need for more luxury cars. 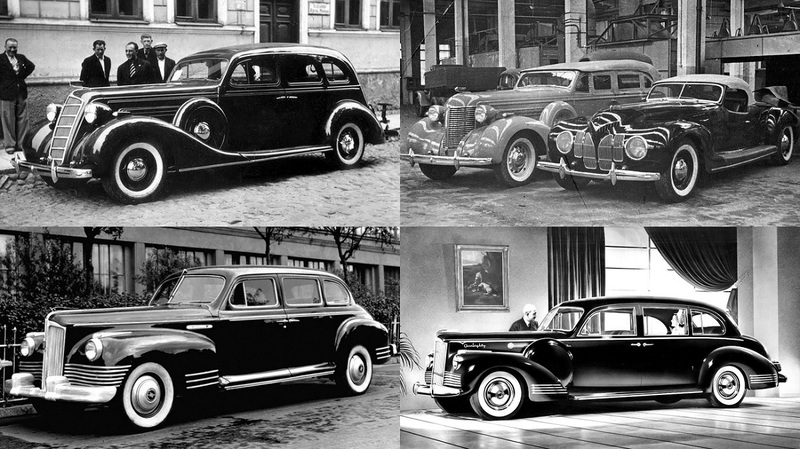 So many generals, so many Party bigwigs and diplomats and so few limos, which had already started to look like a clone of the senior ’42 Packards by this point, complete with straight-8s. A few were even used as taxis, with a more utilitarian finish, or as ambulances, but this was clearly not cost-effective. The solution was to get GAZ, which had mainly focused on mid-range cars and trucks until then, to produce a somewhat smaller executive sled. Before one could say “apparatchiks of the world, unite!” the GAZ 12 ZIM was born, doubtless causing many an ego to be flattered. The ZIM was still a fine car, but it made do with a more humble 3.5 litre 90 hp straight-6. ZIMs were comparatively common in Moscow’s traffic: GAZ made over 20,000 of these and a good number were used as taxis. Their rounded styling was adequate when production began in 1950, but about five years later, things were looking a bit different. The Americans were putting V8s with automatic transmission in Chevys and Plymouths now, and their looks had evolved significantly. Plus, both the Czechs and the East Germans, underwhelmed by the ZIMs they were saddled with, were planning to release home-grown executive cars – the Tatra 603 and the Horch P240 Sachsenring, respectively. ZIS/ZIL were busy putting the finishing touches to a completely new car, which would ditch the straight-8 and the pre-war styling in favour of something more enticing. A first attempt was the above “Moskva” car, presented to the Politburo (i.e. the ZIL’s main clientele) in 1956. Dollops of Cadillac and Buick with a zest of Chrysler notwithstanding, this effort was rejected and ZIL went back to the drawing board. 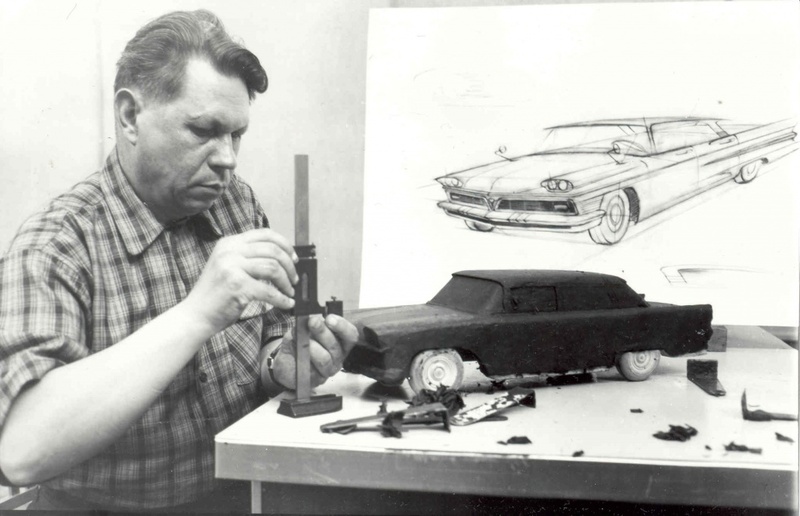 Above: GAZ “ZIM-2” sketch dated 1956; below: Chaika clay model in Gorky in 1957. Not to be outdone, GAZ started work on a new model, which would be called Chaika (“Seagull” – perhaps an homage to Chekhov?). The “ZIM” name may have been deemed too close to ZIS/ZIL, though early sketches still used it. GAZ designers Boris Lebedev and Lev Eremeev and their Politburo clientele were avowed Packard fans. 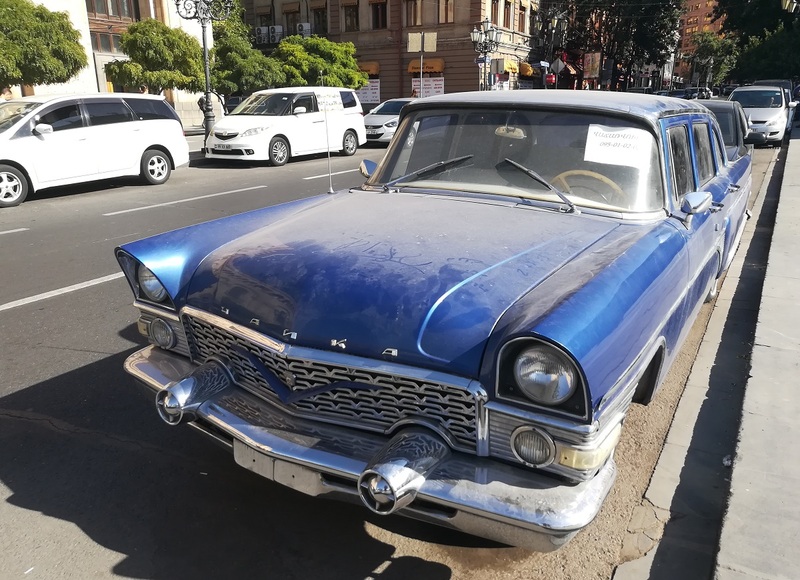 It is rumoured that several American sedans made their way to Gorky circa 1956, and the latest Packard featured among these. ZIL also recruited Eremeev to redesign their new model, pretty much at the same time as he was working on the Chaika. Which is why when the Chaika came out in 1958, along with the new ZIL 111, they looked suspiciously similar to each other and to the ’55-‘56 Packard. This war’s getting cold, dudes. Better get your hoodies up. So let’s take a look at these cars and see. GAZ-13 Chaika, ZIL 111, 1955 Packard 400 – and let’s a few more American cars for symmetry – the 1955 Mercury, the 1955 Plymouth and the 1956 Lincoln, for example. The ZIL’s grille texture is very Packard-like, but the Chaika’s not so much. 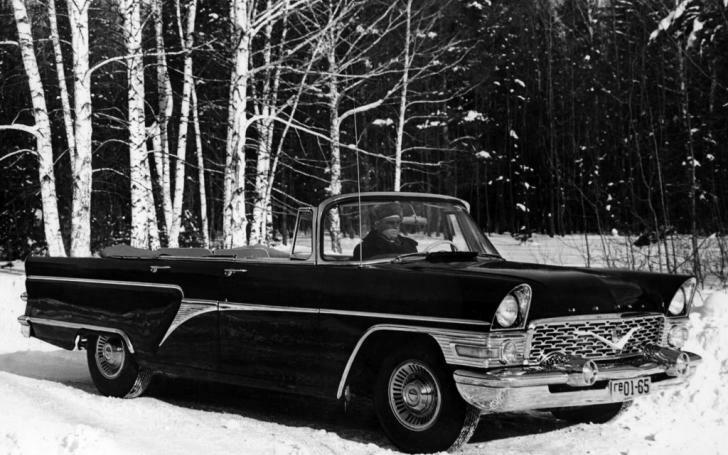 The Mercury’s straight grille top lip is closer to the Russian cars than the Packard’s curved one. 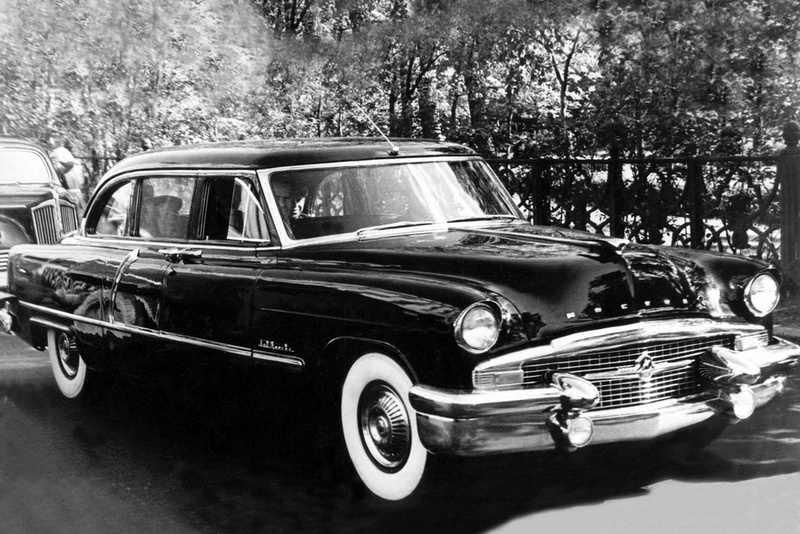 The Plymouth’s wheel openings and greenhouse look remarkably similar to the Chaika’s – more so than the Packard anyway. These all have the same hooded lamp design. There were more hoodies in mid-‘50s showrooms than in an Eminem video. 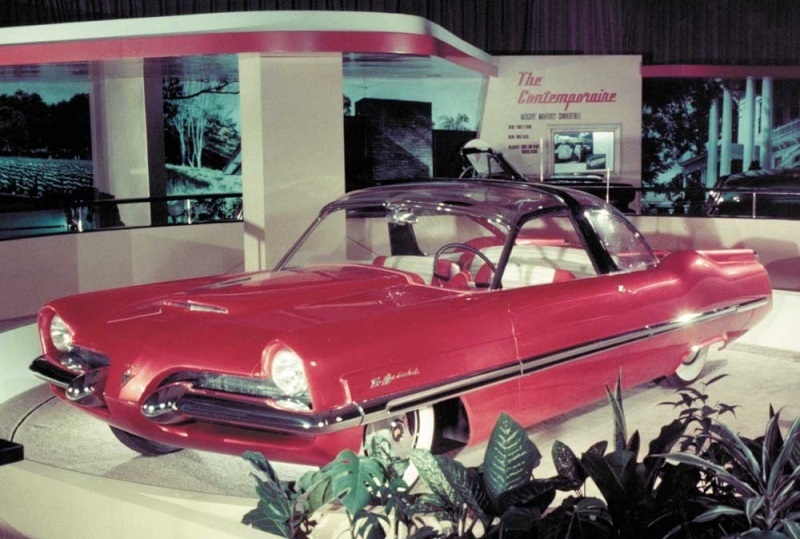 Ford seems to have a claim to the hoodies’ paternity, as they were a distinctive feature of the Ford X-100 and Lincoln XL-500 show cars of 1953. This explains why Lincoln and Mercury got their hooded lights, but not how Packard and Plymouth did. Could it be that (shock horror) car designers constantly look over one another’s shoulders and “borrow” design features from the competition? And just to throw a three-pointed monkey wrench into the whole thing, let’s remind ourselves of this Mercedes-Benz W122 styling proposal from late 1956 – i.e. about the same time as the Russians were designing their limos. Again with the hooded lamps and heavy eyeliner chrome strip. The Benz boys refrained from going further with this somewhat tasteless facelift of the “pontoon” Mercedes thanks to their buy-out of Auto-Union, which forced them to re-assess their spending plans. Another reason to love two-strokes. Getting back to the subject at hand, let’s focus our attention on the Chaika 13’s august behind. No Packard “cathedral” lights influence there, it seems. If you only caught the Chaika going down the street out of the corner of your eye on a foggy morning (pre-coffee and without your glasses), you might well think “Oh, that looked like a ’55 Buick.” Or perhaps a 1957 Pontiac? Something about this rear end says “GM” in Cyrillic, with a soupçon of Studebaker – 1956 vintage, I’d reckon – spicing things up. In summary, although the Packard kinship is pretty strong and undeniable, the Chaika had quite a variety of second and third American cousins. It’s a blessing that GAZ had a competent design department, or with that many influences on a single product, the end result could have looked downright ridiculous. What about the technical side? Well, the engine proper was pretty much a home-grown effort. 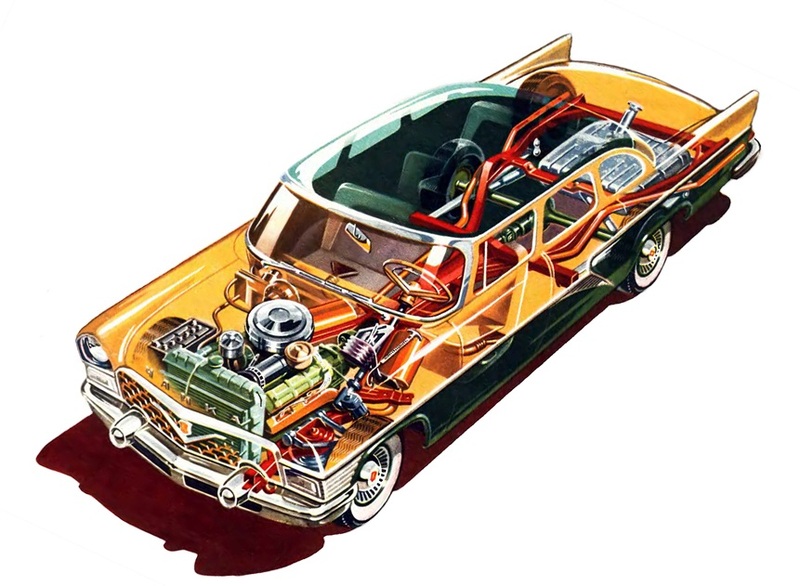 Originally, the Chaika’s all-alloy V8 was based on the Volga M-21’s engine, at least as far as their bore and stroke were identical (the Volga was a 2445cc 4-cyl., making the Chaika a 4890cc V8). There were few common parts between the two, so in late 1959 GAZ revisited the Chaika’s cylinder measurements to reach 5530cc and 195 hp @ 4600 rpm. The car was as heavy as anything made in the US (about 2 tons), so performance was somewhat sedate: Chaikas could reach about 100 mph, and that would have to do. 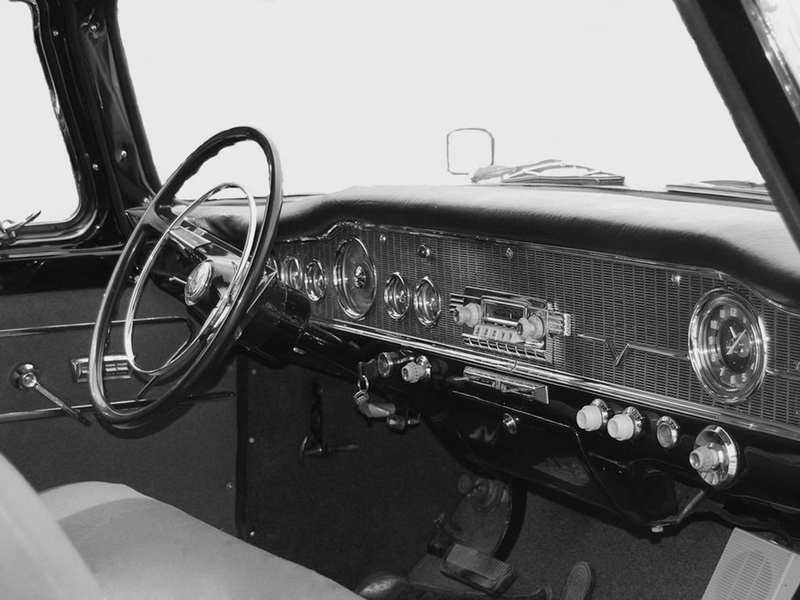 Chrysler-like dash-mounted push buttons controlled the 3-speed automatic transmission (a Soviet first), which was essentially a reverse-engineered Fordomatic. Unlike the monocoque / subframe ZIM and Pobieda, the Chaika emulated Detroit even under the skin with its X-frame chassis, servo-assisted drum brakes, coil-sprung IFS and leaf-sprung live rear axle. Ride in the Chaika above top down in a Russian winter and you’ll end up in the one below. There are several things the Chaikas have that their American fore (or five)-fathers do not have. 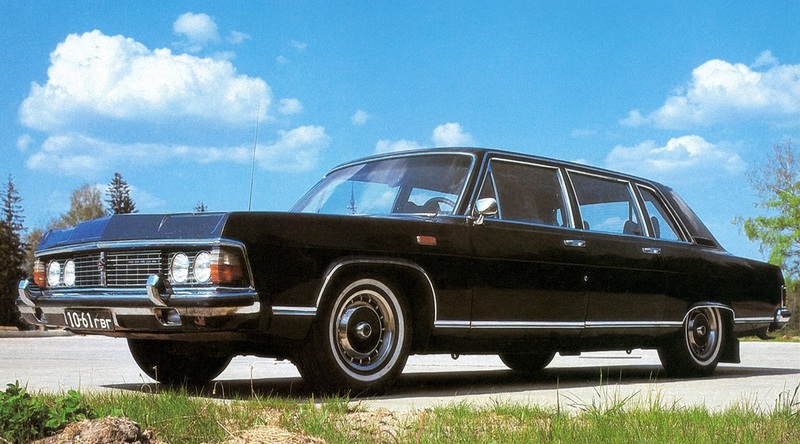 For one thing, Chaikas came with only one six-window limousine body as standard. 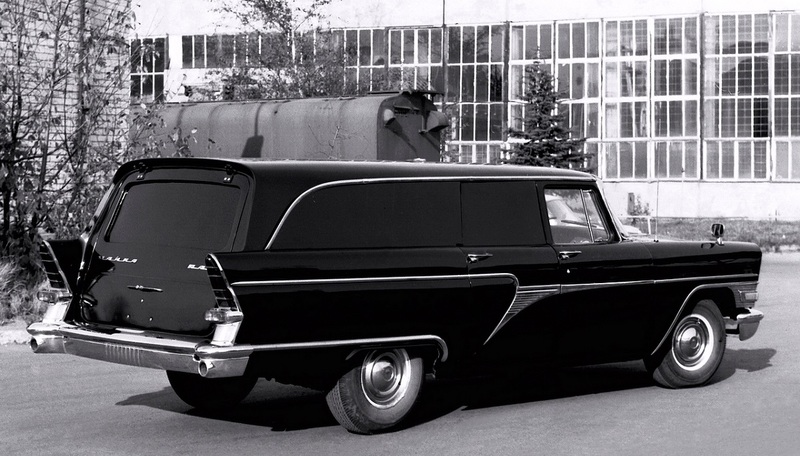 The Riga Automobile Factory converted 20 to wagon-like servitude as ambulances or, should that prove unsuccessful, as hearses. And another dozen or so underwent a complete roof-oplasty, turning them into four-door convertibles, chiefly for the massive military parades so beloved by Soviet elites. 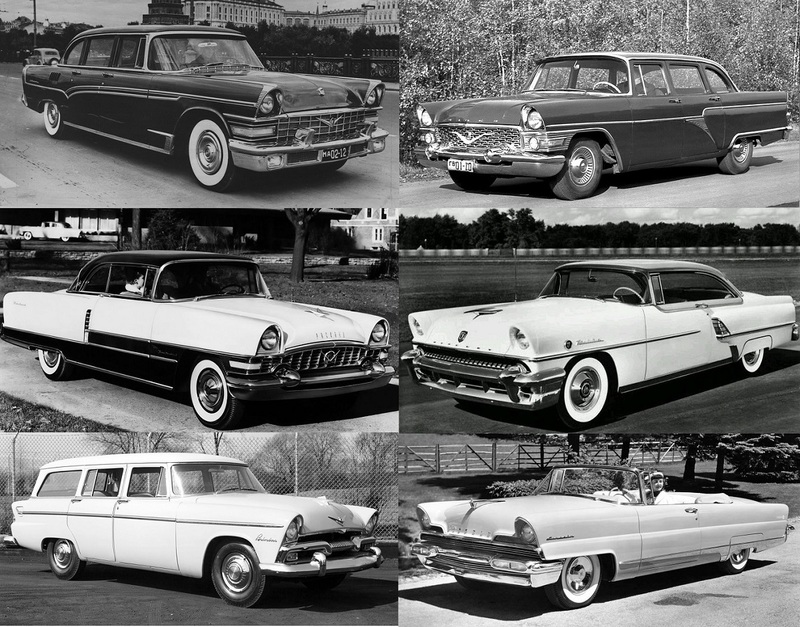 I’m struggling to find these body styles in the ’56 Packard or Lincoln ranges. Sedans, two-door coupes and convertibles, sure, but no LWB limo, no wagon and no parade phaetons. Perhaps the two ranges ought to be seen as complementing each other? Meet the CadZILacs – above: 1961 ZIL 111 prototype; below: 1962-67 ZIL 111G. The other big difference is longevity. The ’55 Packards were carried over to 1956 – just barely – and then became the much-ballyhooed Studebaker clones of 1957-58. Global styling trends, chiefly set by Detroit in those days, stubbornly refused to keep still. 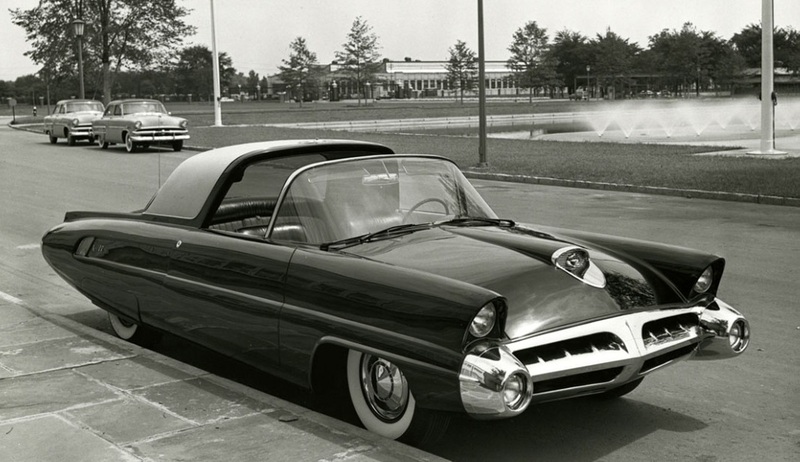 By 1960, quad headlamps and straight lines were the new thing, panoramic windshields and fins were out (though Virgil Exner didn’t get the memo). 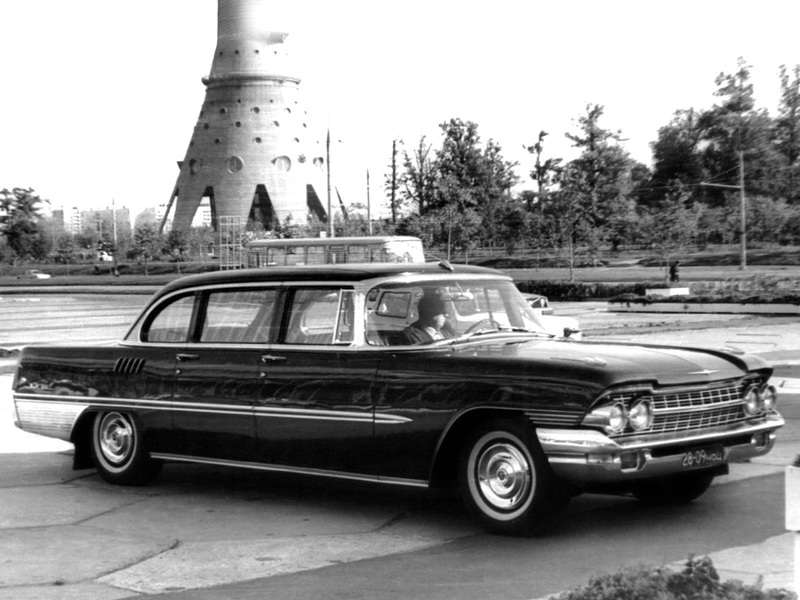 Keeping up with the Joneses, the ZIL 111 got an extensive Cadillac-inspired facelift, becoming the ZIL 111G in 1962. A new ZIL model, the 114, was introduced five years later to keep the Politburo in stylistic step with their opposite numbers in Washington. It boasted a 7-litre V8 and all the comforts that a comparable Fleetwood 75 or Continental could muster. ZIL even proposed a short wheelbase version, the 117, in a rare display of modesty. Styling was modern and toned down – anonymized even – but remained transatlantic, just less obviously derivative. The Chaika, on the other hand, stretched its vast body over decades and passing fads, such as disc brakes or fuel efficiency, until the tail end of the glorious stagnation of the Brezhnev era. Above: jovial GAZ designer Boris Lebedev working on a Chaika facelift; below: rejected 1961-62 proposal. 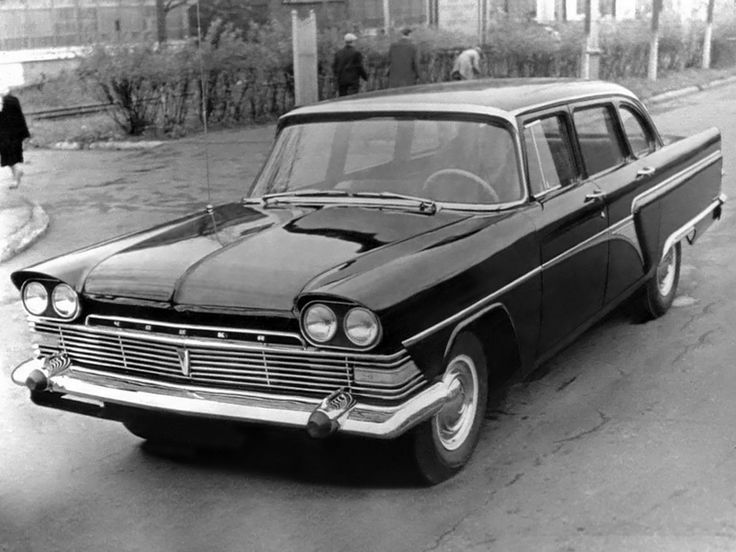 The Chaika’s lower-spec nature may have played a part in its sticking with its mid-‘50s styling, though the GAZ designers did try a ’58 Plymouth-ish front end for size in 1961 or ’62. The decision-makers didn’t see the point of this exercise, as was often the case in planned economies. The oblivious Chaika glided through the ‘60s and ‘70s wearing its tailfins, wraparound windshield and heavy chrome trim. But few things are eternal in the automotive world. 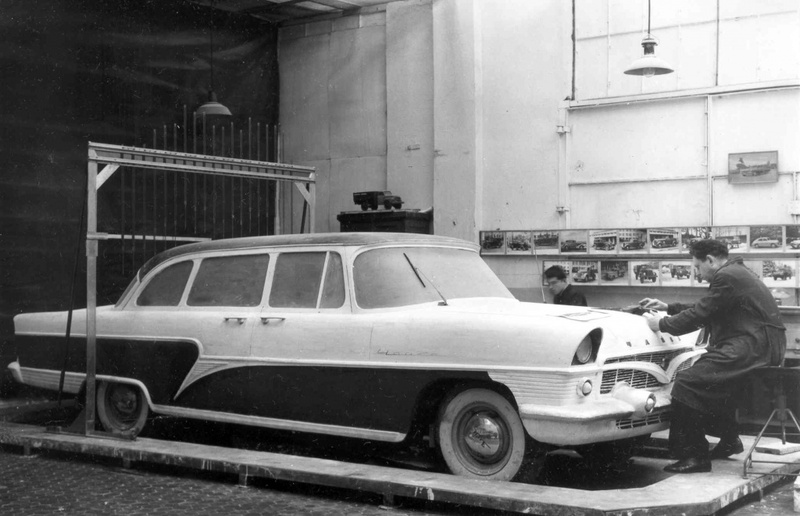 GAZ finally managed, after about ten years of making prototypes, to put a new GAZ 14 Chaika in production in 1977. 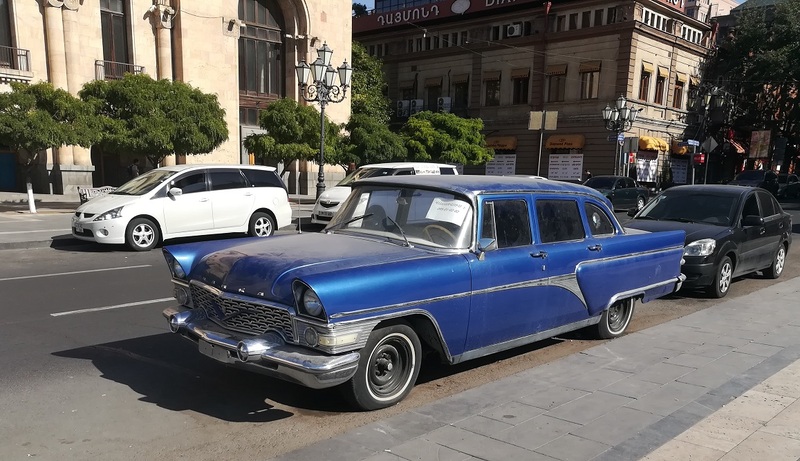 GAZ 13s were still being made regardless – they had more cachet, it seems, to some apparatchiks’ eyes. Khrushchev certainly preferred the Chaika to the ZIL. A man of the people, our Nikita. The end of the GAZ 13 came swiftly and in quite an unexpected manner. On a stretch of the Minsk-Moscow highway in October 1980, disaster– or rather, a GAZ 53 truck full of potatoes – was struck by the Chaika carrying Byelorussian bigwig Pietr Masherov, killing all the limo’s occupants instantly. Exact circumstances remain murky, but the accident triggered an outcry in the little circle of Chaika users, who lambasted GAZ for continuing to manufacture this dinosaur of a car. GAZ finished the Chaikas that were still on their assembly line and, by 1981, old model 13 was no longer in the lineup. A number of them ended up with the KGB, who appreciated using their capacious back seats as mobile interrogation rooms – ideal for the goon on the go. A cull in “Seagull” stocks took place in the post-Soviet era: natural attrition claimed its fair share, as did foreign buyers. The story of the Yerevan car I photographed is not known to me, but it seems about ready for some TLC and perhaps a new owner (the paper in the windshield has a phone number on it). According to several sources, a total of just under 3200 GAZ 13 Chaikas were built from 1958 to 1981. 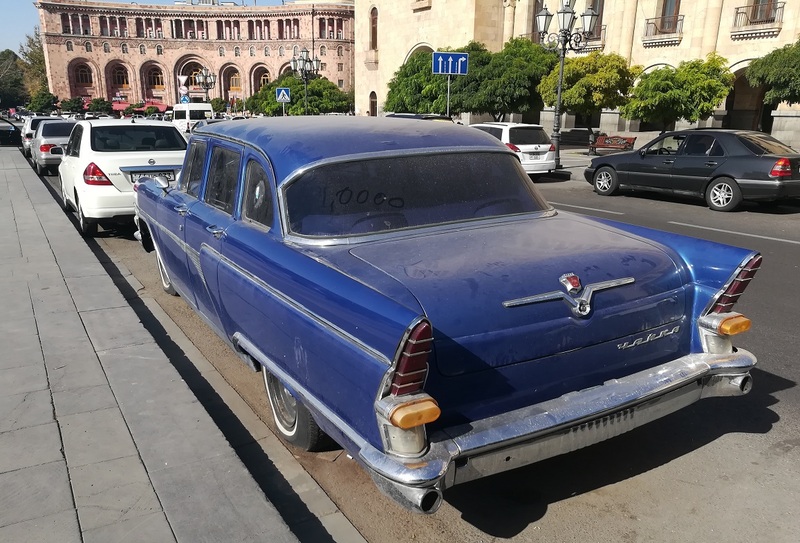 The one I found in Yerevan could be a mid-to-late ‘70s model due to its side mirror, one of the few external changes ever applied throughout the model’s long life. Then again, Chaikas were regularly overhauled, sometimes extensively, at the Gorky factory. Iron Curtain call – above: 1977-89 GAZ 14 Chaika; below: 1979-83 ZIL 4104 (1st series). The new Chaika’s career was also cut short – by the winds of change that buffeted the Kremlin in the late ‘80s. Gorbachev was not keen on these, it seems, and in 1988 ordered GAZ to quit making them and even specified that the blueprints should be destroyed. Only about 1100 GAZ 14s were made and a few of them are still in official use. 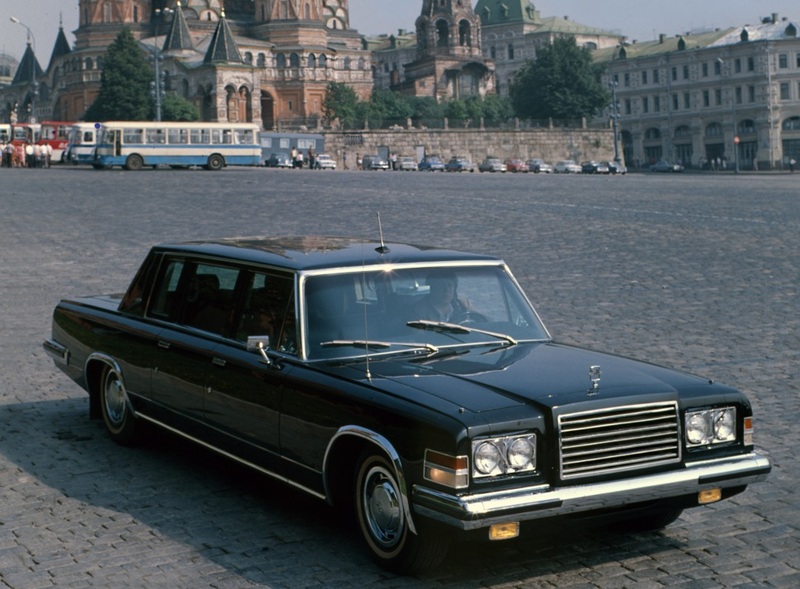 The ZIL was redesigned as the 4104, going for a Lincoln-esque blend with a touch of Mercedes, and was facelifted several times from the mid-‘80s onwards. Production plummeted in the ‘90s, but ZIL episodically made a car or two until fairly recently, when the factory was dismantled and assets were auctioned off. Back in their heyday, these cars were all state propriety; the people who drove them or rode them were not going to customize or accessorize their Chaika, but they could request GAZ to retrofit the latest features. Perhaps this one got its mirror later in life, perhaps it was like that to begin with. Same with the colour, which is pretty suspicious: most (but not all) Chaikas were black. I doubt we will ever know for sure. Either way, this is a very rare and high-class automobile. It’s not a Packard, it’s much more than that. IMHO, ZIL-117 the most democratic of all listed. One wonders why they didn’t go all-in and make a 2 door hardtop, given how popular they were among the “influences”! I’ve always felt that it was a bit ironic that the Soviet Union copied the designs of its greatest capitalist enemy for their prestige cars. Why not copy the British? Maybe too redolent of royalty and tsarism for what was supposed to be a People’s State? How about Mercedes? Perhaps too many bad memories of World War II for such an influence to be acceptable. There was a fair amount of copying European cars done down”market”. The definitive Zaporozhets was an NSU Prinz clone (athough in turn Corvair-influenced), having started out as a Fiat 600 lookalike. Moskvitch borrowed heavily from the Brits and of course the original Lada was a licensed (if significantly beefed-up) Fiat 124. “Zaporozhets” is a very handy word to use when a telemarketer interrupts you. Follow up with words like “Chaika” and “Zhiguli” and they’re bound to go away. While Stalin’s preference for Packards is undeniable, the American engineering ethos of the day fit the Soviets well, I think, in not pushing technology too hard, in favor of practicality, reflected in the popularity of imported American trucks during the “Great Patriotic War.” Both Russia and United States are large continental nations with lots of oil, road mileage, and weather extremes. Gerhard Neumann (“Herman the German”), from his experience as an apprentice mechanic during the ’30s, American cars were the best in the world, full stop. He reversed that opinion later during his tenure as a GE executive, so it wasn’t mere prejudice. I would also add that the #1 most represented car in the USSR before the war (by far) was the GAZ-built Model A. Ford’s designs and the invention of the moving production line impressed absolutely everyone — from Austin and Citroen to Hitler and Stalin. America was THE automotive nation in the ’20s and ’30s, and American styling dominated much of global tastes until the Italians got their act together in the ’60s and Chevys became as big as houses late in that decade. If you’re going to copy someone, copy the best. Same. I’ve always liked the 14s and 4104 series myself. It almost looks like something that you could see in America during the 70s and 80s being used as a presidential limo. I’ve thought that those cars were the best designs the Soviet Union came up with, and I would have no problem being seen in one. I have an extensive model car collection and have some Russian models. The Chaika still looks good, but the Gaz 14 had its doors fall off and the suspension collapsed. Would love to get ahold of a 4 door convertible. What an awesome find! From a very young age, watching news reports about the various Russian leaders, I was always intrigued when footage of their cars made it into the report. There are simply so many visually captivating things about these Chaika’s. While it would be impossible to know, one can’t help but wonder how much of its life has been in Armenia or if it has migrated around. And the stories this car could likely tell…. Apparat Chic… hehehe. Gold from CC’s own Tom Loupe. Wonderful shot of Boris Lebedev working on the model, first I’ve seen of an Eastern Bloc stylist in action. ZIS 101A sports is the winning curio here for me – bearing more than a touch of Zephyr in its face. Yes, agreed Don, I love the title. One of the cleverest I’ve seen all year! Yeah, it struck me right away too, very good! Just one thing nags me here, though I may regret asking: Who is Tom Loupe? French for wolf, with an ‘e’ added. I love ‘apparat chic’ – it reminds me of every second TVC director here in oz who wears a Fidel cap. Fascinating stuff. Funny that none is painted red. I remember seeing pictures of these as a kid and sort of assumed that they had just reverse engineered a Packard. Clearly not true, as you so ably demonstrate. 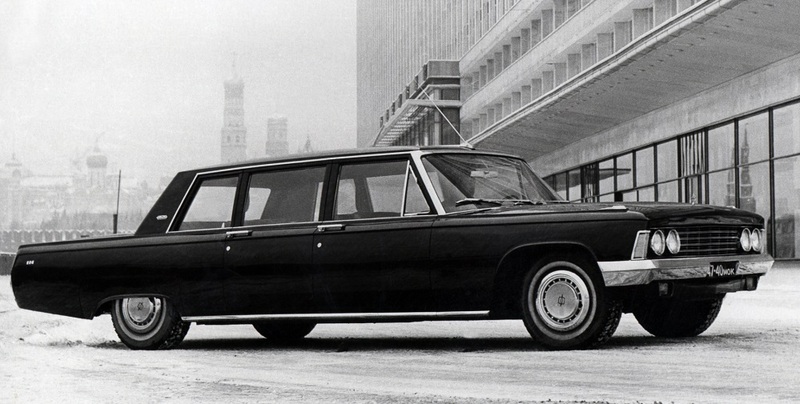 I see a lot of Chrysler Imperial influence in several of those ZIL 111 and 114 limos. The later ones have more of a Mercedes 600 vibe. This piece does an excellent job of explaining why Soviet cars often resembled Packards of the previous generation, without being actual copies. Even so, you’ll still find people who swear that the Packard dies were sold to the Soviets in some under-the-table deal that usually involved whichever US President was in office at the time. They’ll even go so far as to claim that they know for a fact that the (insert body part here) of a certain Soviet car interchanges perfectly with that of a Packard! Yes, I’ve run into them on the internet way too often. Some urban legends die hard. Yep. And when you call them on it they derisively dismiss what you have to say as “fake news”. Um, until reading this very piece, I still thought the older ones were indeed cast-off Packards. Never entered into arguments about it, mind! Funny that none is painted red. Apparently, there was at least one red GAZ 13 Chaika back in the day. It belonged to the chief of the Moscow Fire Dept. Attention all CC readers: this is required viewing. Best documentary I’ve seen all year and best car industry-related documentary I’ve ever watched. Thank you for the recommendation! Great article. To me the GAZ-14 Chaika looks like a 1971 Dodge Monaco with pretensions of grandeur. Here is probably the first truly Soviet limousine – the 1933 Krasny-Putilovets L-1. 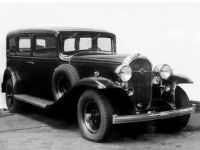 The resemblance to a 1932 Buick Series 90 is certainly no accident. Six cars were made and apparently every one broke down on a road trip from Leningrad to Moscow. Joseph Stalin was probably not impressed and that was the end of the L-1 venture. Yes, these poor guys up in Leningrad were ridiculed for their attempt to make a car and never repeated the experiment again. 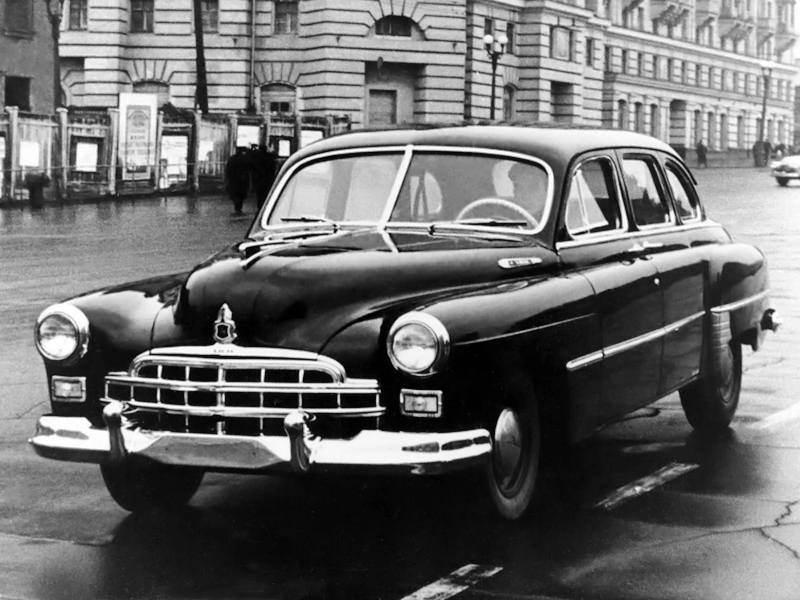 There were other Russian luxury cars made before that (the famous “Russo-Baltiques” back in pre-revolutionary days, for instance), but the first Soviet attempt was this L-1 Buick clone. They jumped the shark on that one. That’s an impressive find! Great write-up, too. These Soviet Packardski cars have always fascinated me. If only that car could talk! 3 – The Cadallin – We need a CC article on this thing. Never seen it before. Thanks for this, it made my morning! I’m pretty sure its a GAZ12ZIM sitting in storage at Southwards museum, the car came from the Soviet embassy originally and despite a fair bit of panel damage it resembles the first effort by these guys, I’ll have to go back for another look some day. Fascinating history. These big Soviet cars have always intrigued me, but finding out any information on them has always been so difficult. I was recently talking about Russian cars with a friend of mine who is a retired diplomat. He mentioned that some time in the 1990s he was at an embassy event that was also attended by the Russian ambassador. At some point, my friend and another diplomat were outside near the Russian ambassador’s limousine (not sure of the make), remarking at what an impressive and imposing looking car it was. Soon afterwards, the ambassador came outside to leave with his driver — when the car started up, it made a cacophony of odd noises and several billows of black smoke. He said the contrast of the car itself and the noises it made were very amusing. My guess is that the ambassador wasn’t quite so amused. Terrific write-up in your inimitable style. Thanks for clearing up the provenance of the Chaika’s V8 engine. I’d made a wrong assumption about that when I wrote it up before. I got close and up front to a Chaika around 1985 when I was calling on a truck user (I sold commercial trucks). He had it in his warehouse on Paris Avenue in Northvale, New Jersey. I just looked and looked. I cannot remember how this man acquired the Chaika. He wanted to sell it. I guess obtaining parts is a problem in The U.S. Hmmm? I also thought of all the young ladies who rode in these to dachas (country homes) on the influential. It was upholstered in gray cloth and relatively nicely done. Great article and very much appreciated. It might have been left in the USA after the end of the Soviet National Exhibition in 1959. There were several Soviet automobiles in that exhibition. They might have not wanted to send it back to the USSR. I love learning about these old East Bloc boats. Great article–informative & well written. To echo a previous commenter…. 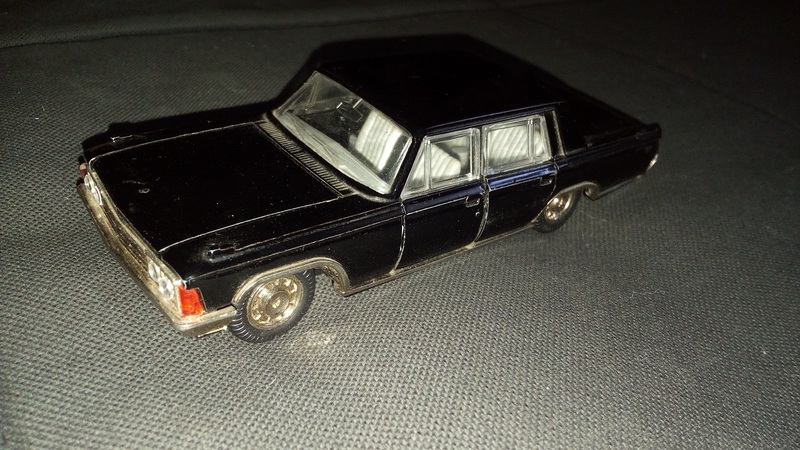 I have a model ZiL 41047 (updated version of the 115 model). It was actually made in the USSR. It’s such garbage–the trim has fallen off, the axles bent, the lenses cracked…. stunning realism. 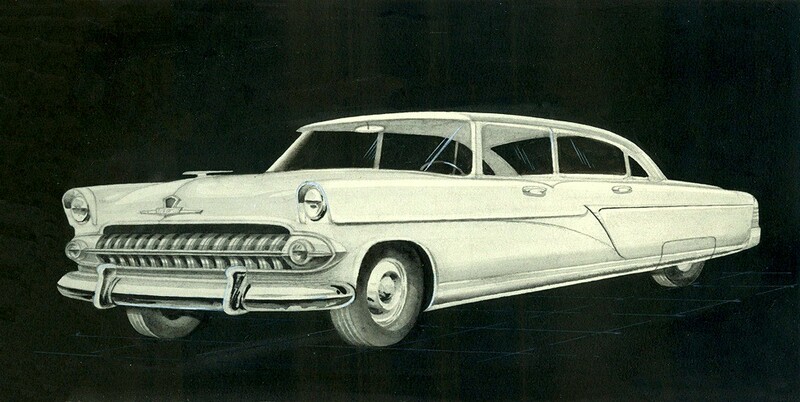 Here’s something neat that I found – an early 1960s styling study for a future ZIL. Note the 1959 GM influence and the neat six headlights. I remember reading in an early edition of the Complete Encyclopedia of Motorcars a reference to a 1960 ZIL prototype that had six headlights. Perhaps this is an early attempt at a smaller ZIL – an idea that finally came to light as the ZIL 117. If four headlights is good, six must be great ! One thinks of Bruce McCall, here. I have lusted for a 13 since I was a kid (still do)and saw an article on them in Cars and Parts. Great writeup, thank you. The ’62 rework proposal screams 1958 Rambler Classic to me. Do I detect a 1940-1941 Lincoln Continental MKl style grille on the ZIS 101-A Sport? Fascinating article. Interesting how the GAZ designers “borrowed” either the best or worst design cues from the American designs and implemented them together. Can’t help but think some are reminiscent of Harley Earl design exercise run amuck or rejects. That 12th picture — the tandem seat car with number “35” on the door seems to have everything combined into one car. What is it? 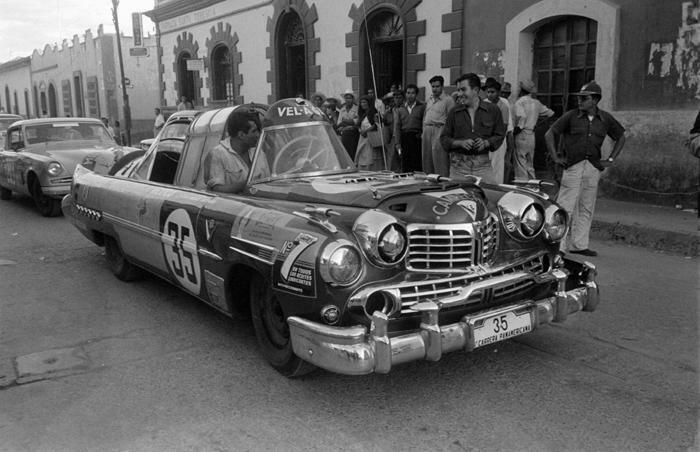 That’s the Cadillin La Carrera – it ran the Carrera Panamericana in ’53 as a publicity stunt. Growinn up in China in 60s and 70s I never saw a Chikia (Seagull) sedan, but I did heard a lot about this car. I guess by the time Chikia was in its prime, the Sino-Soviet relation was in such bad shape, there was not love for the products from the socialist elder brother. But rumor said Chiarmam Mao’s infamous wife was assigned one as a personal usage car in early 60s. According to the unofficial rule, in the scale of prestige among the Chinese communist cadres, Hongqi CA770 or the armored version CA772 was the most prestigious. Nixion used a 772 during his historic visit to Beijing in 1972. I always wonder how the US Serect Services allowed him to risk his life in a Chinese made car. The next prestige rank then was Gaz ZIM. Seeing one of ZIM on street meant an important guy inside. Chairman Mao until his death only trusted Zil 115, which was built to withstand anti-tank land mine. That Zil 115 was a gift from Stalin.In 70s Chinese started to produce its own Shanghai SH 760 , a copy of Benz Proton 190, to replace Zim and Volga, another favorite for Chinese then. Chinese also tried to replace its CA770 with few Benz 600 W100. 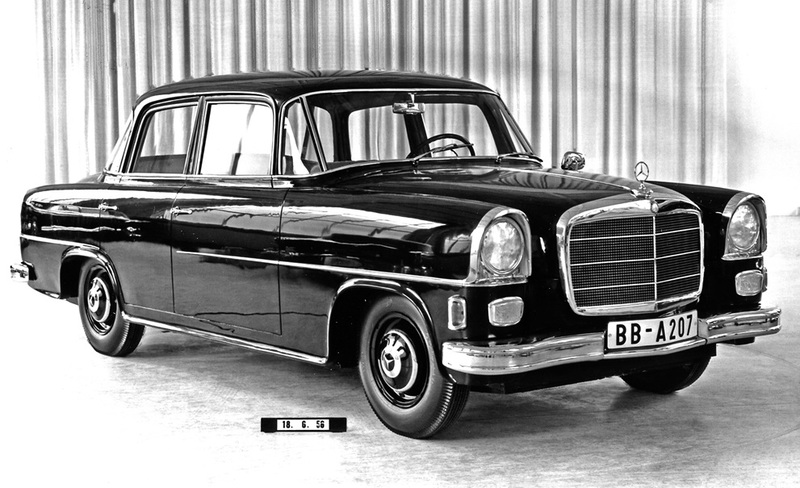 The plan never worked out because Benz 600 was expansive and no armor. Anyway, all Hongqi and Zim an Volga were killed by Toyota Crown and Nissan Cerdic in 80s with thier superior AC and morden good look. Great account of a great find, with a lot of detail info. This will justify a second reading! Excellent article, even better than I had hoped for.. Not long ago there was an article on Russian cars, albeit smaller, later-model ones. A commenter (no names, but his initials are Rocko) suggested another article on classic Russian iron, specifically those inspired by various American cars.. in other words, an article just like this one (although an article as well-written as this one must have been in the works prior to that suggestion).